Results 1 to 10 of 259. 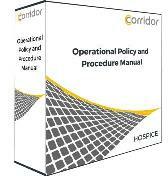 These ACHS Hospice Policy & Procedure Manuals are easy to use by providing a crosswalk to Medicare and ACHC hospice standards. These beautiful bereavement cards come 25 in a pack with envelopes. 10 cards with words and 15 blank cards.